Long Acre office space is located in the Covent Garden region of London and has a number of serviced office rental sizes available that can be let on a flexible term basis. 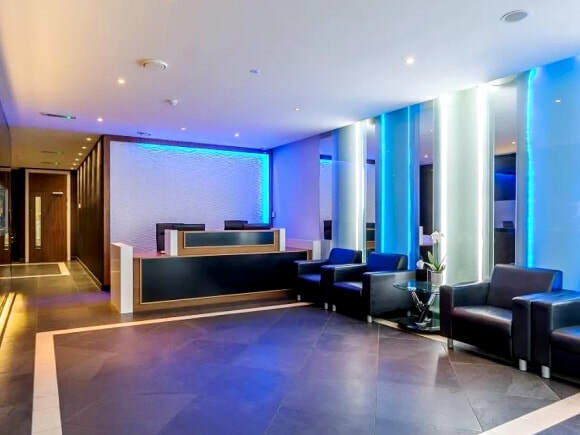 Being in one of the most sought after areas in the capital, this Business Centre is conveniently situated near Covent Garden tube station and is close to Leicester Square and Charing Cross stations which provide good transport links to various areas in the capital. The surrounding area is filled with restaurants, cafes, entertainment facilities and designer shops which are ideal to be explored on work lunch breaks. Office space to rent is of premium quality and is available furnished or unfurnished if desired. With CAT6 cabling standard throughout, these serviced offices to let also come with all the latest in IT and telecoms.